David Shepherd has been a general assignment reporter and fill-in anchor on NBC 2 and FOX 38 News since July of 2008. Whether covering politics, crime, or human interest stories, David loves the thrill of chasing down a hot lead and telling the viewers in the Wabash Valley all about it! In 2010, David was honored to win the Spectrum Award for Best in General News by the Indiana Broadcaster’s Association for a story he did on a heated tree trimming debate between two Terre Haute notables. Born and raised in suburban Washington, D.C., David developed a love for news and politics at an early age. David began learning everything he could about journalism. By high school, he had no doubt that television news is where he belonged. While studying journalism at George Mason University in Northern Virginia, David took free-lance jobs behind the scenes at WJLA TV 7 and CNN’s Crossfire. 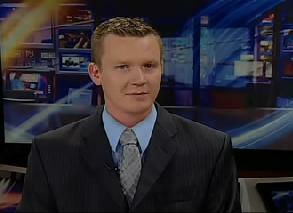 In the summer of 2008, David joined NBC 2 and FOX 38’S stellar news team and has been hooked ever since. Congratulations on winning the Spectrum! Keep up the good work.